Stan Vejvoda received his M.Sc. and Ph.D degrees from the Military Academy in Brno in the Czech Republic. He is now on the Mechanical Engineering faculty at Brno University of Technology and Director of the Institute of Applied Mechanics. He is member of the Editorial Board of the Proceedings of the Institution of Mechanical Engineers Journal of Process Mechanical Engineering (Part E), London, UK. 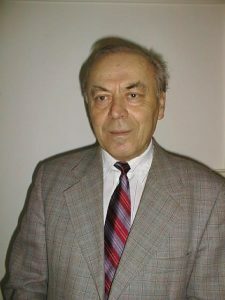 His research interests include calculation of strength and service life of steel structures and machinery, pressure vessels for classic and nuclear power engineering, chemical and petrochemical industry, large-scale machines for coal mining, equipment for metallurgical and rolling mill plants. He is interested in assessment of limit states, fatigue, creep, brittle fracture and simple strength, diagnostic systems, ageing/service life management of machinery, steel structures and pressure vessels. He is the co-author of standard technical documentation for equipment of WWER-type nuclear power plants. (INTERATOMENERGO, Association of Mechanical Engineers of the Czech Republic).